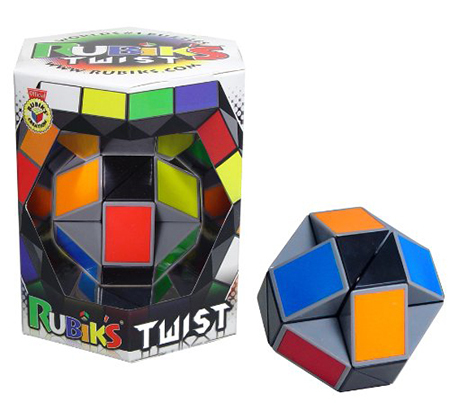 Rubik's Twist is the twistable challenge of unlimited puzzle shapes. Start twisting and watch amazing figures take form. Turn a snake into a swan... a bat into a ball... a turtle into a terrier, all with just a few twists of your imagination. As an educational tool, it sharpens your thinking about shapes and spaces. There are no limits to the shapes you can make and best of all - NO WRONG ANSWERS! 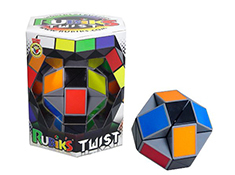 Rubik's Twist is a portable puzzle providing hours of fun for you and your friends.